Editor's note: Adam Garrie is director of the UK-based global policy and analysis think tank Eurasia Future and co-host of a talk show "The History Boys." The article reflects the author's opinion and not necessarily the views of CGTN. It is appropriate that the second Belt and Road Forum for International Cooperation (BRFIC) is being held during the year in which celebrations will be held to mark the 70th anniversary of the People's Republic of China. China's modern history is instructive insofar as it demonstrates that the path from poverty to a moderately prosperous society in all respects is one that can be coursed through diligent work, flexible political reformism, social harmony and continually improving educational standards for the people. 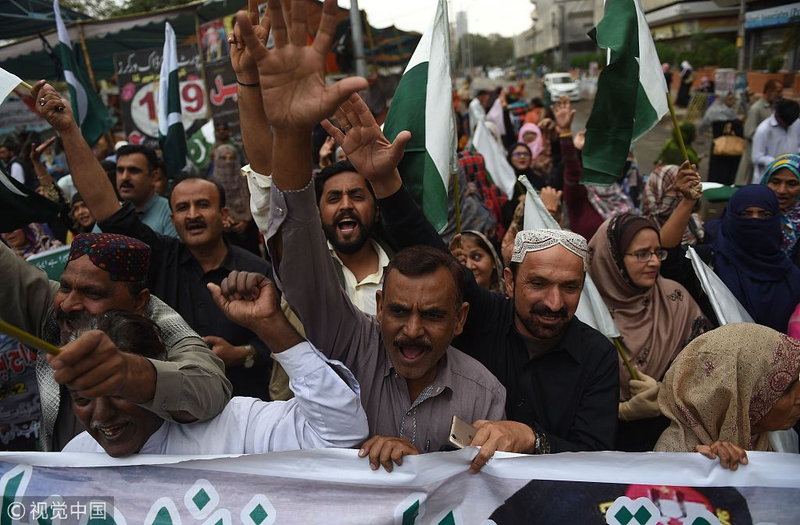 Pakistani members of the Sindh Medical Staff Association shout anti-Indian slogans during a protest in Karachi on March 2, 2019. /VCG Photo. China's peaceful model of development is based on the universal truth of peace deriving from prosperity among the people. While the United Nations is a global forum designed to promote peace and ease tensions between conflicting nations, often times the UN has fallen short for one clear reason: without economic incentives to turn away from conflict, many conflicts will simply be perpetuated by one or more of the interested parties. This is precisely why the BRFIC can complement and help to achieve the noble goals of the UN as defined in its preamble. The modern Silk Road Spirit is defined by "peace and cooperation, openness and inclusiveness, mutual learning and mutual benefit." 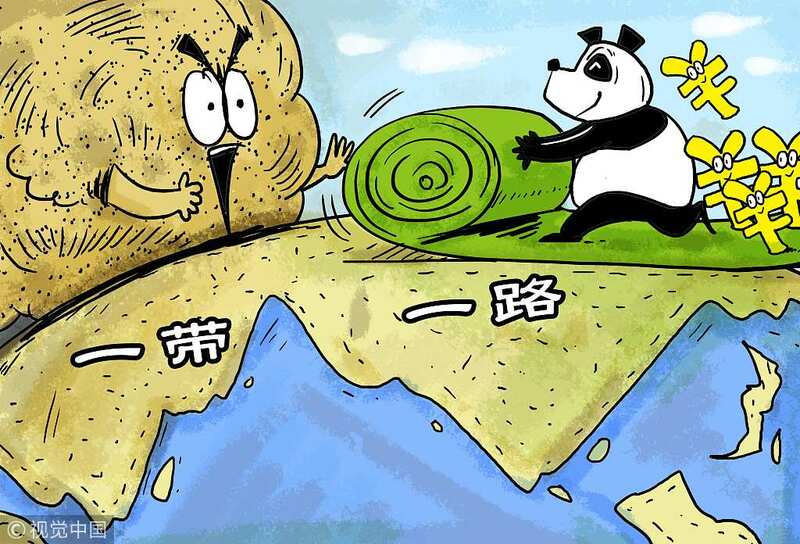 This makes it clear that the aim of the Belt and Road Initiative (BRI) is not to build prosperity as an end in itself but to create a lasting peace through promoting, nurturing and building upon cooperation between nations. Because of this, the larger a quorum of nations that participates in the BRI, the more successful the global initiative will be. The BRFIC therefore offers a unique opportunity for countries that currently have conflicts with one another to directly communicate in a neutral environment where prosperity is the aim. As such, by promoting economic and developmental cooperation between multiple nations, the BRFIC is able to function as a place of conflict resolution as much as anything else. It therefore behooves world leaders to attend the forum in person wherever possible as both bilateral and multilateral discussions held on the sidelines of the forum will help to promote and produce the overall goals of the forum itself. If the Korean peace process has taught the world anything, it is that communication is the loadstone upon which a successful and prosperous future is built. 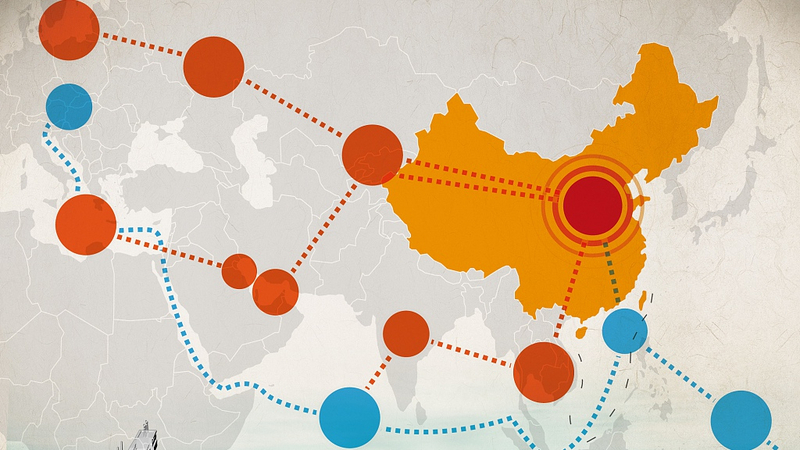 This year's forum looks to build upon Chinese Premier Li Keqiang's goal of creating a modern Maritime Silk Road that will help to better connect China with its ASEAN neighbors and partners. Thus, while hostile forces describe the South China Sea as an area of dispute, in reality it holds the potential to be the world's most important maritime community of partner nations trading and cooperating with one another in a spirit of peace. While Pakistan has confirmed its participation in the meeting, India should also send a high level delegation as Belt and Road connectivity ultimately holds the key to bringing peace not only between India and Pakistan but between Afghanistan and all of its neighbors. 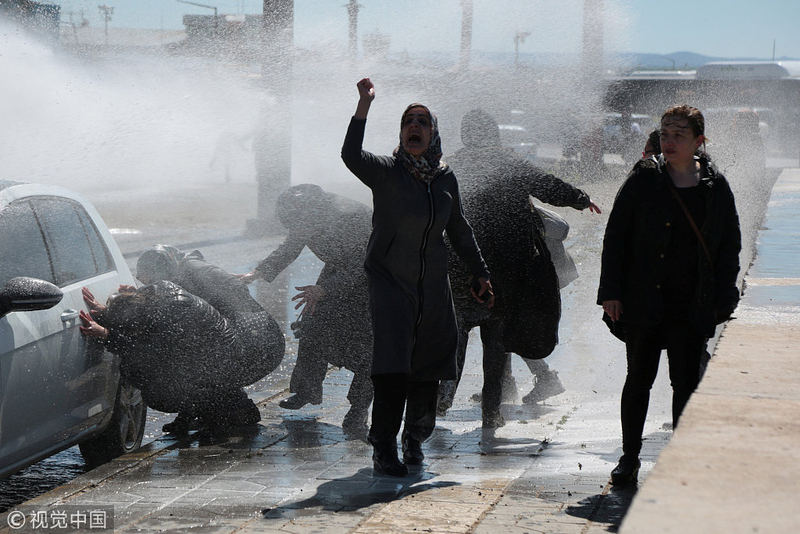 Turkish riot police use a water cannon to disperse demonstrators as they protest the death of a Kurdish inmate, in Diyarbakir, Turkey, March 18, 2019. /VCG Photo. In western Eurasia, countries in the midst of conflicts, including Turkey and Egypt or Saudi Arabia and Qatar, can all stand to benefit from utilizing the BRFIC as a place to prioritize regional connectivity over conflict. Finally, for multiple African nations striving for ever more development, the BRFIC is an opportunity for African leaders to discuss pan-African cooperation among one another while also moving forward with major development plans with the help of Africa's foremost partner, China. Building a better future is only possible if ideals can be sustained by pragmatic action. This month's Belt and Road forum is therefore a golden opportunity to lay important foundations that will help to create a more united and peaceful world based on the incentive of win-win prosperity.